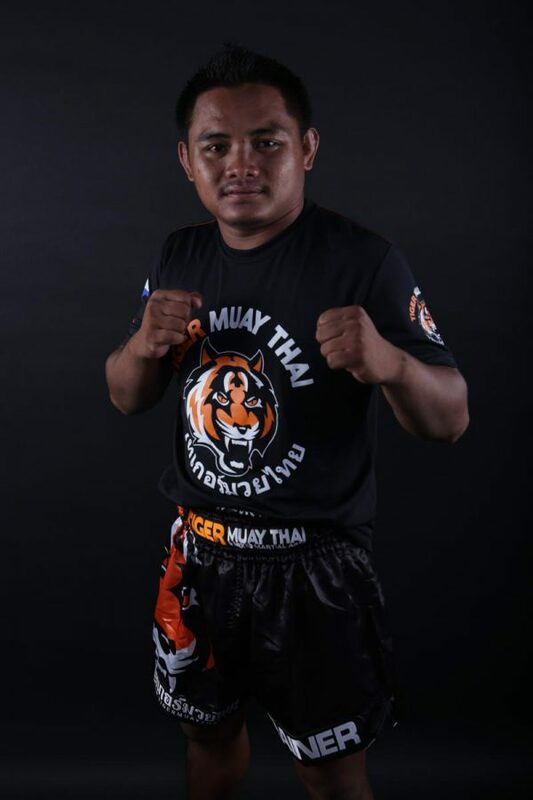 Ngoo began his Muay Thai career training under Kru Yod in their hometown of Surin in north-east Thailand. Ngoo earned a reputation for his explosive knockouts via head kicks and elbows. Ngoo moved to Phuket at age and started teaching at Tiger Muay Thai while still fighting regularly. Ngoo transitioned into MMA and has amassed a pro MMA record of 4-2 as well as multiple silver and gold medals from international grappling competitions. Ngoo is a very popular trainer, known for his great padwork and always friendly persona.